A versatile juniors' raincoat in a clean design. One of our most popular jackets, the Seven J is perfect for a wide range of outdoor activities. 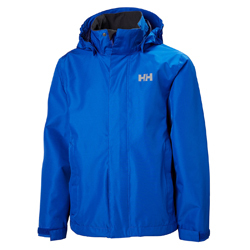 Clean, classic rain jacket for a variety of outdoor activities. Fully waterproof with a storm flap, zipped hand pockets and quick-dry lining.